Previously Crockballagheeha as angl. name in MV. Cnoc Bhealach Gaoithe is the 619th highest place in Ireland. 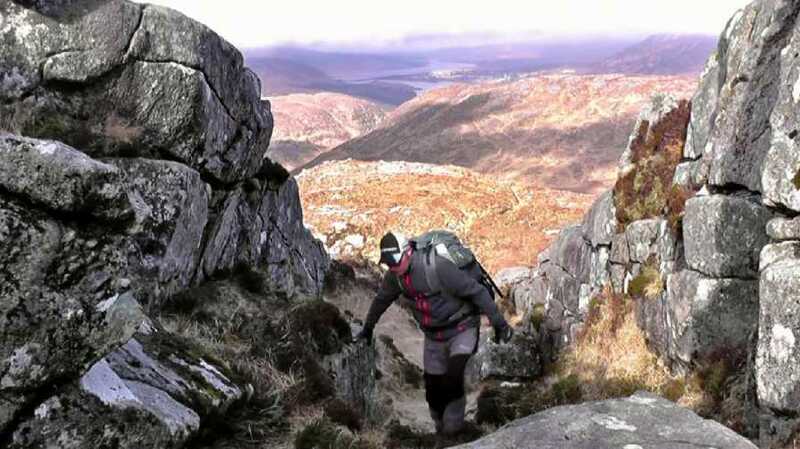 Hillwalkers planning to tackle the Poisoned Glen and Slieve Snaght have a feast of really good films to watch on YouTube. Critchley/Schwartz, McVeigh and Patrick Zerkowski have all produced really high quality material. The route planner will very much approve of the way that Patrick names his mountains as he proceeds along his route. You know exactly where he has been. Patrick brings some special shots to the table. I like the way we see him ascending through stone tunnels, and tackling various obstacles. It just deepens the viewers knowledge of the local landscape.